You can light up your living room or kitchen with 100 to 120 watts of power when using an LED bulb. It would take 600 watts of power to light the same room with an incandescent bulb. LEDs are directional by nature, meaning their light emits a focused beam. Light packaging should include information on "beam spread," which lists the amount of beam diffusion. Wide lenses can produce up to 360 degrees of light, whereas more focused options include 60 degrees or even 10 degrees. You can use LEDs throughout your kitchen or closet. 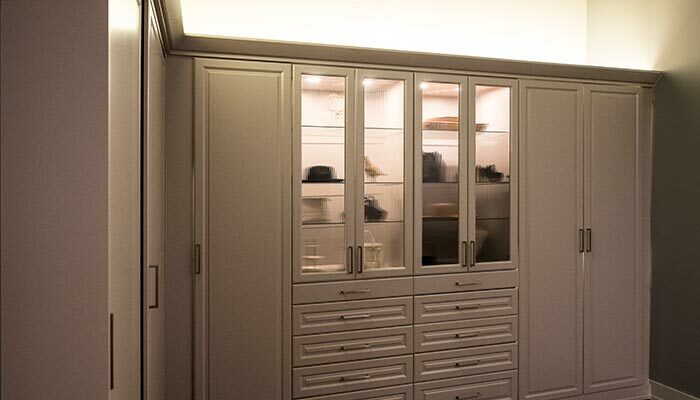 Recessed lights are an option, but the flexible nature of LEDs makes them a great choice for under-cabinet lighting strips or to illuminate floating shelves. You can place them under the surface of a frosted glass countertop to show off its texture, or you can run along "toekicks" at the bottom of cabinets and kitchen islands to provide a pop of color. 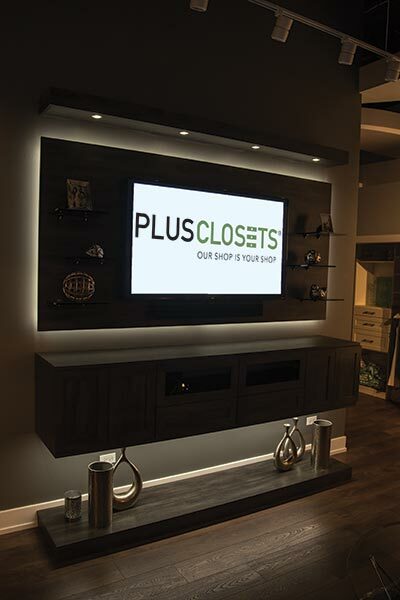 You can also employ LEDs in creative ways not possible with incandescents, such as motion-sensitive lights inside drawers, cupboards or other dark spaces, or as lighting in recessed ceiling spaces to play up architectural features such as molding or millwork. Additionally, LED chandeliers, pendant lights and track lighting are all great ways to highlight custom cabinetry features. When used to best advantage, LED lighting goes beyond its practical features. A beautiful lighting design, in combination with a carefully designed closet system can create a bold statement akin to art. 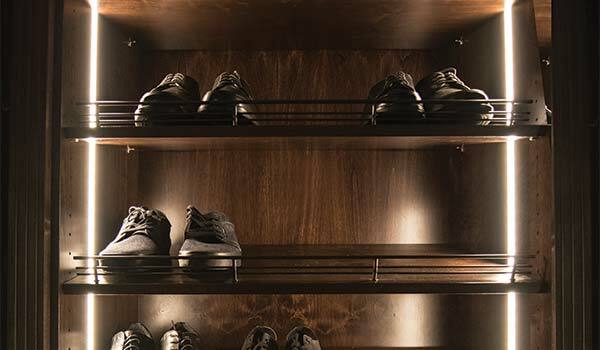 At night, the effect is most evident when the closet system becomes a glowing light show. 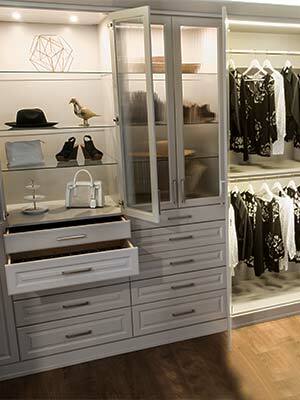 It's a great way to add a WOW factor to your clients closet without adding a lot of money!